All three models of Samsung's X-range have come into our editorial office in the last few days. In order to catch the customer's eye they are supposed to score especially in design and their portability. 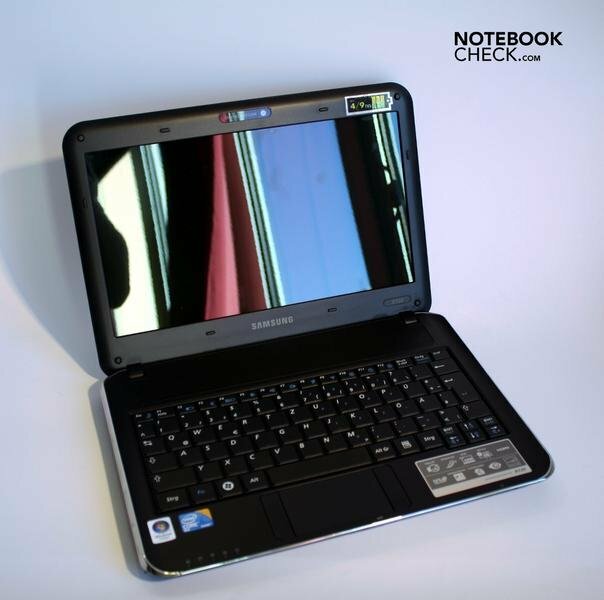 We checked that first on the smallest model, named X120, with an 11.6 inch monitor. 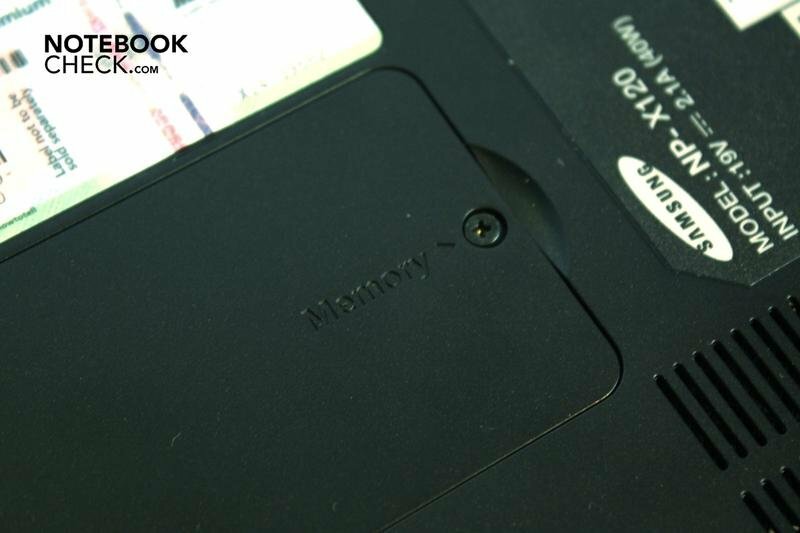 Samsung labels especially light and slim notebooks, which have been mainly conceived for mobile use, with an "X". So, all models of this range do not have a DVD drive. But they are supposed to score with a trendy design, chrome applications and in particular with a long battery life. 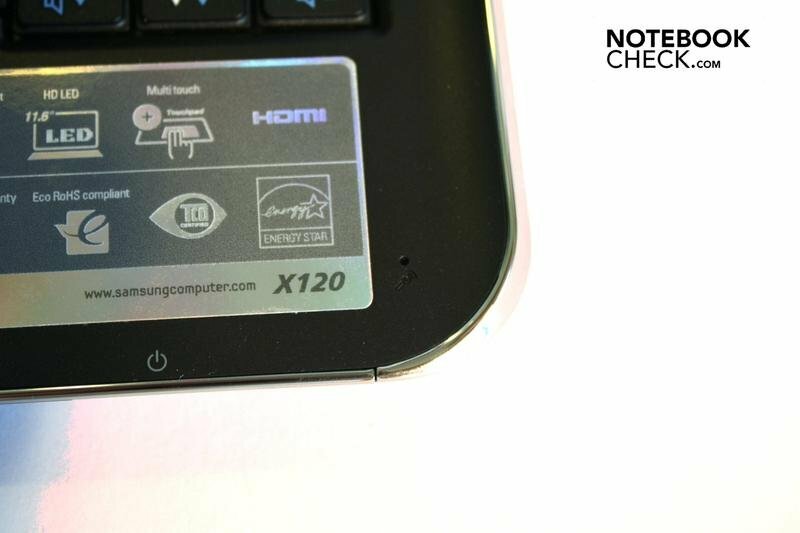 The smallest of the range is the Samsung X120 and comes with a nice sounding processor name: A Core 2 Duo processor computes inside, as the sticker on the outside also reveals at first sight. Of course, it's a Ultra Low Voltage model with an especially low power consumption but also with evidently less power. The X120 looks light and compact at first, but this can be said of many. We're curious if the "masterpiece", as Samsung heralds the range on its German homepage a bit boastingly, can put up with our tests. Samsung offers the X120 as "Akio" in white or as "Avion" in black. Aside from the color, both notebooks don't differ. We received the X120 in an elegant black. The exterior gleams at us with the seemingly mandatory high-gloss finish of lifestyle notebooks; fortunately, matt surfaces have been selected for the interiors. These are namely significantly less susceptible for smudge, and fingerprints also aren't left back. The bottom shell is also made of matt plastic. Metallic particles that glitter under light are in all surfaces, similar as in cars. This effect is really impressive and gives the surfaces an elegant touch. 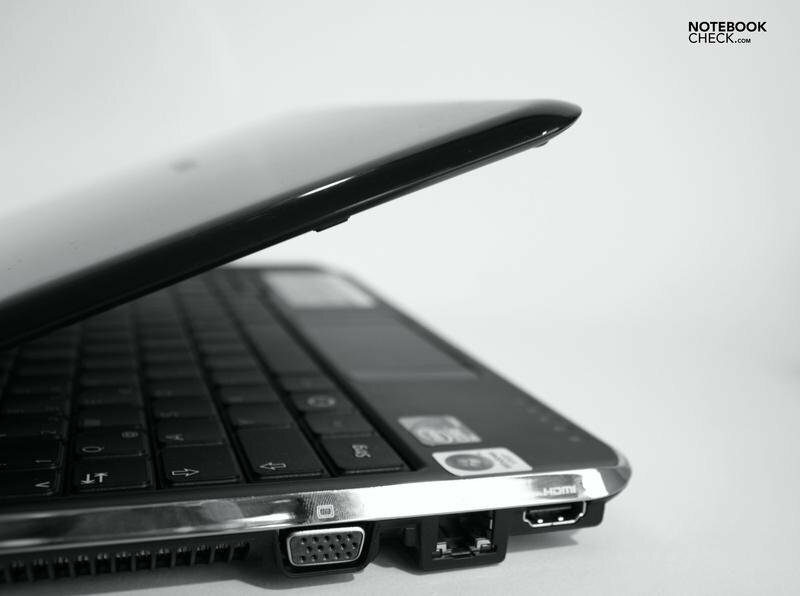 A plastic border in a chrome-look runs around the notebook, a perforated plastic cover conceals the loudspeakers built-in over the keyboard. Aside from that, the key bezel is slightly convex on the sides, in opposition, the display's frame is concave so that both parts fit well together. 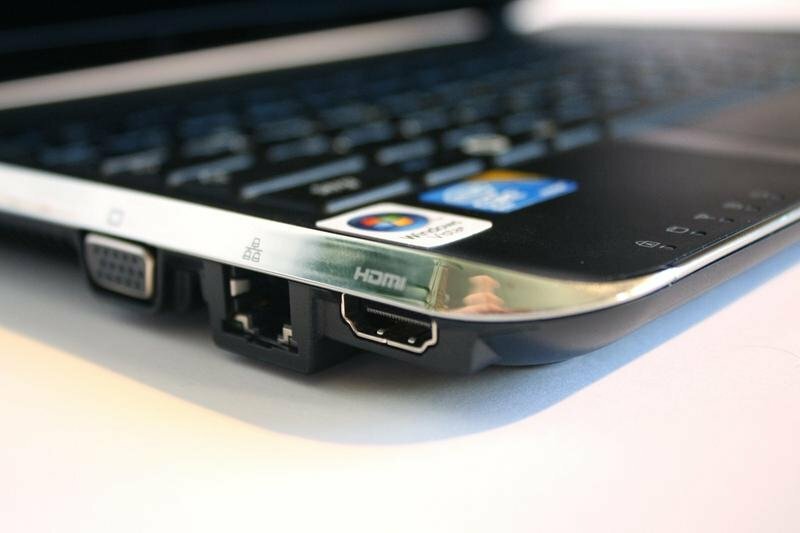 Because the bottom shell is tapered towards the bottom, the lateral connections protrude, so to say, as a bay from the case. A further pleasant detail. The only unsightly thing about the Samsung X120's design is the total of 10 differently shaped plastic spacers that have been let into the display frame and which are probably supposed to prevent the sensitive screen from taking damage in a closed state. That could have probably been solved a bit more elegantly. There really isn't anything to complain about in view of workmanship: all parts sit tight, even the keyboard barely yields and the notebook makes a very compact and high-end impression. The hinges that hold the display lid have also been well-crafted and are sufficiently taut so that the screen doesn't teeter after it's been adjusted. Because the hinges are on the display's front side instead of on the bottom, the opening angle is restricted to about 135 degrees. The display's upper shell is quickly covered with fingerprints but it protects the screen well from pressure applied to the back and the display's torsional stiffness is also alright. Samsung places all connections either on the left or right. 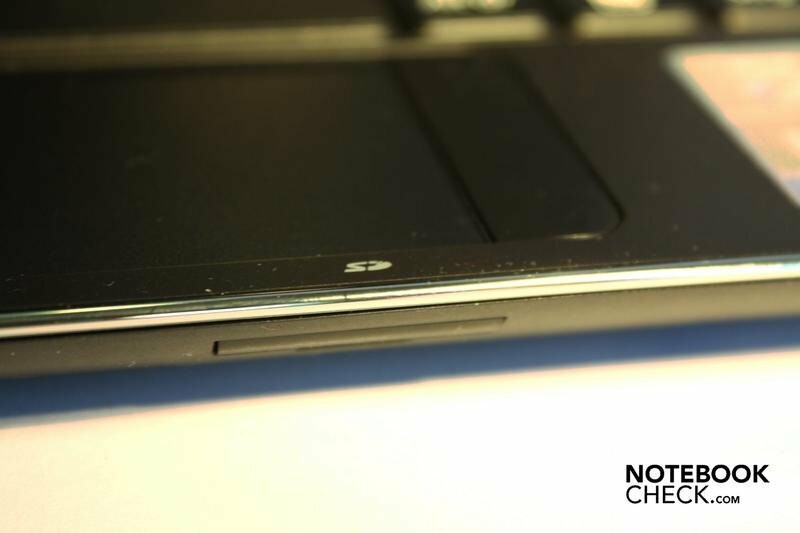 On the front, there is only an SD cardreader and power switch, which is fortunately marked on the notebook's upper side because otherwise the small slider that turns the notebook on would be hard to find. By the way, all interfaces are marked by a symbol or a lettering, the lateral ports in the chrome border above them. This way you always know where the according interface is without wrenching your neck or lifting the notebook. 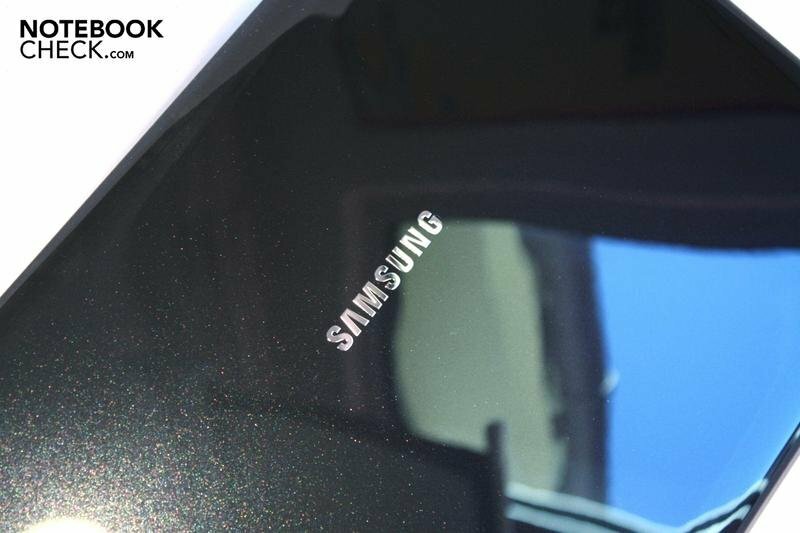 The white symbols on the reflective chrome surface are sometimes only hard to see in adverse light conditions. Samsung places the majority of ports on the right. From front to rear: 3.5 millimeter headphone-out and microphone-in, three USB ports and a Kensington security slot. On the left, also from front to rear, you find an HDMI port, a network socket, a VGA-out, the fan grill and finally the DC-in. The port distribution isn't quite optimal: It's a bit awkward for righties, who would like to use a mouse, that Samsung has placed all three USB ports on the right. Additionally, the headphone cable, also connected on the right, gets in the way. Lefties have to live with the air flow, which is however rather weak, emitted from the case and may also struggle with a thick monitor cable when an external display is connected. 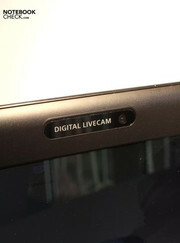 If the lower screen overhang had been omitted and the hinges had been placed on the display's bottom, it would have been very well possible to place connections on the rear. The motto here was probably: "function follows form". A Bluetooth 2.1 module, as well as the standard WLAN, has been integrated. An optical drive isn't built-in due to the low construction height. Samsung supplies the same thing that most others still have in their product range: The 32 bit version of Windows Vista Home Premium. Whereas you can upgrade to Windows 7 Home Premium for a service charge until January. 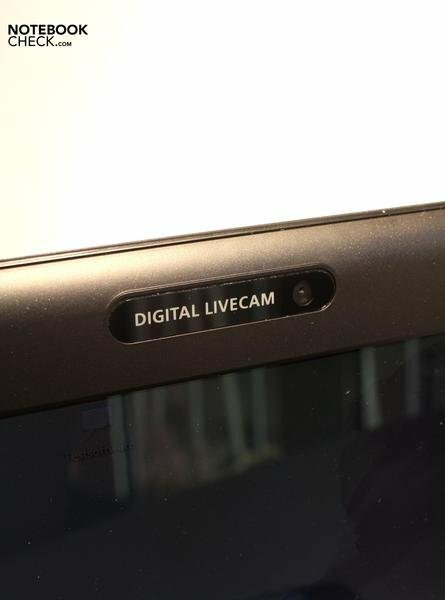 Apart from that, a 60 day Microsoft Office trial version and the McAfee security suite and Cyberlink Youcam for managing the built-in webcam are included. 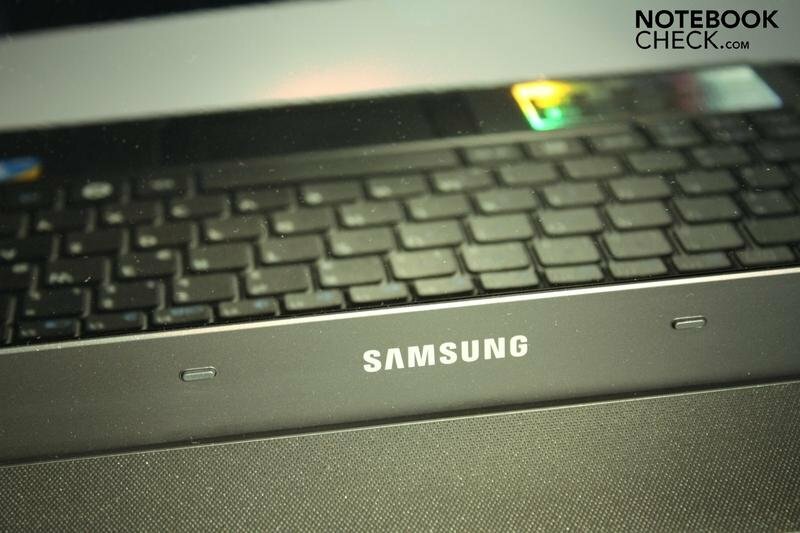 Samsung supplies a protective cover for the smallest X model, so you can, for example, put the notebook into a backpack without having to worry about other content scratching the notebook. Purchasable extras on Samsungs homepage are warranty extensions of either one year (79 euro) or two years (139 euro). 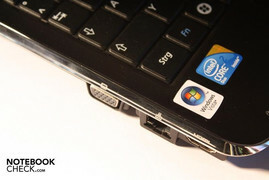 Aside from this, there is an external ultra-slim DVD drive (somewhat exaggerated 219 euro), a USB docking station for 169 euro, memory extensions (for instance 1 GByte for 49 euro) and an external 6 cell battery pack that increases the notebook's endurance, but of course considerably increases the weight that has to be carried around and it isn't exactly cheap with its 259 euro. 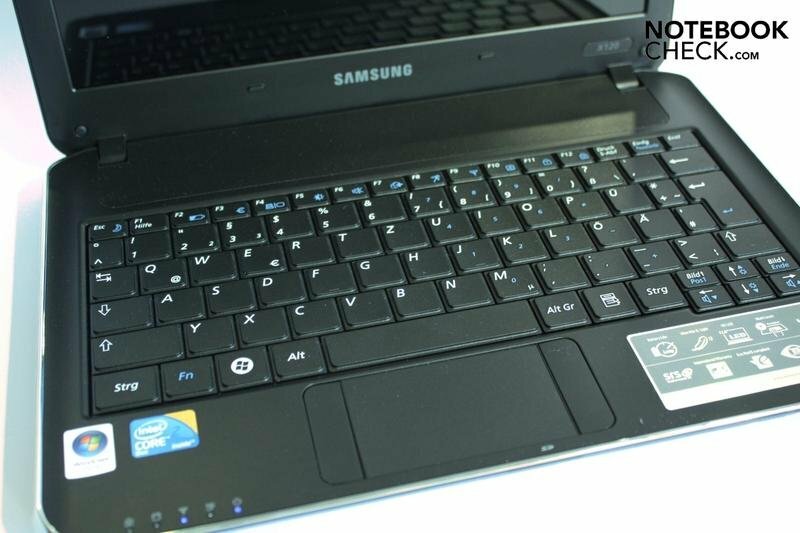 Samsung uses a keyboard with a standard layout, however in a so-called "Chiclet" design where single keys and quite large spaces are simulated by sunken edges. The typing feel is a bit imprecise and you aren't ever sure if you really pressed the key. This is due to the weak key resistance on the one side and on the other, the somewhat wobbly fit of the single keys in the case. Additionally, the stroke length of the keys isn't very deep. In return, the keyboard doesn't yield anywhere and the keys have a sufficient size. That is, at least, the figure and number keys. The arrow keys and function keys are sometimes difficult to hit, as they have turned out very small with a height of only one centimeter. There wasn't any place left for the "Pos1" and "End" key and must be triggered with other keys combined with the "Fn" key. However, Samsung offers a few special functions: With "Fn" + "F2" you can look at the current battery status, with "Fn" + "F7" you call upon the "Magic Doctor", a program that solves system problems, and with "Fn" + "F5" the display can be disabled to save energy for example. 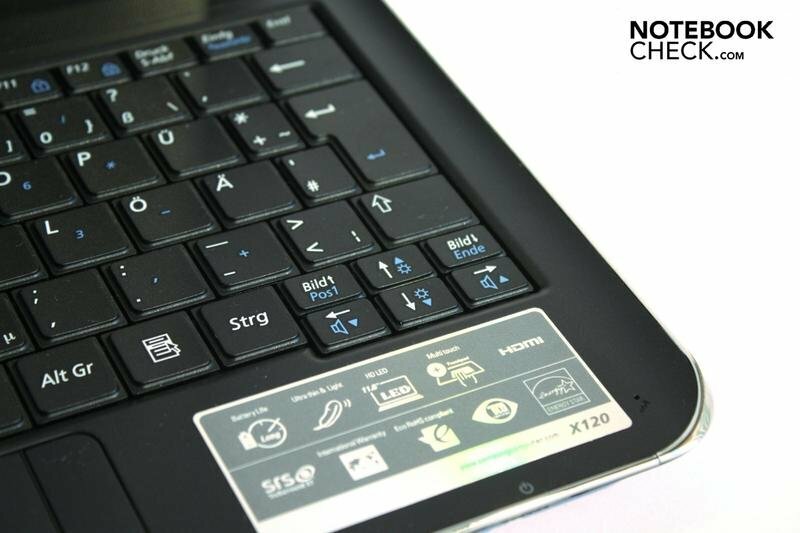 The touchpad pleases us more in view, or maybe because, of its unusual layout. 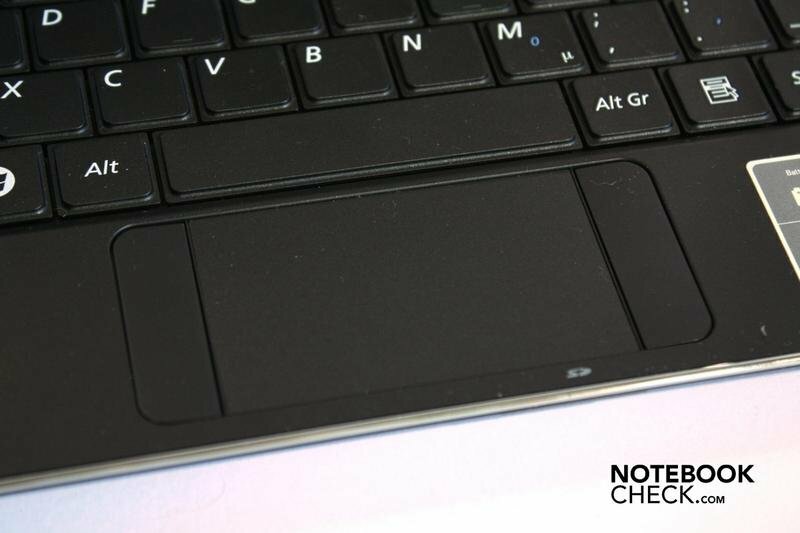 Due to the notebook's low depth both touchpad keys didn't fit below it, so they have been placed on the right and left of the touchpad. Even if it sounds like something needed getting used to at first, it works quite well in practice. Instead of using two fingers of the left hand (righties), you simply use one finger of the right hand for the right key. The uncommon layout has other benefits: the touchpad has turned out fairly big and is well delimited by the lateral keys from the rest of the wrist rest. It's also been slightly submerged for a better tactile sense. 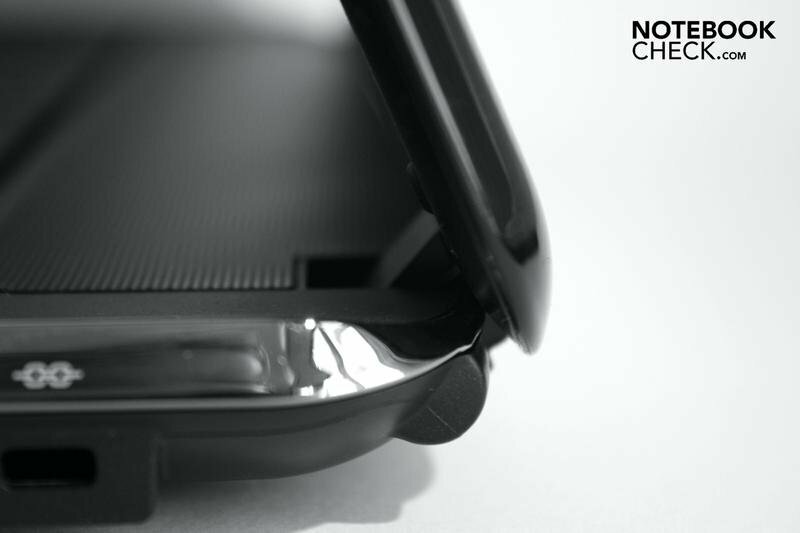 The surface bids just the right amount of resistance to also work without a mouse comfortably. Apart from that, the touchpad supports multi-touch gestures as known from iPhones, for example. You can zoom by spreading two fingers or scroll via a circular movement. The glossy display reflects very intensely. 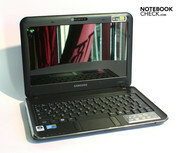 Samsung's X120 has an 11.6 inch display with a resolution of 1366x768 pixels, which results in an aspect ratio of 16:9. Displays with this form factor are well-suitable for movies because the upper or lower black bars are smaller or could even completely vanish. However, you have to count with the problem of very frequent scrolling when working or surfing due to the low height. 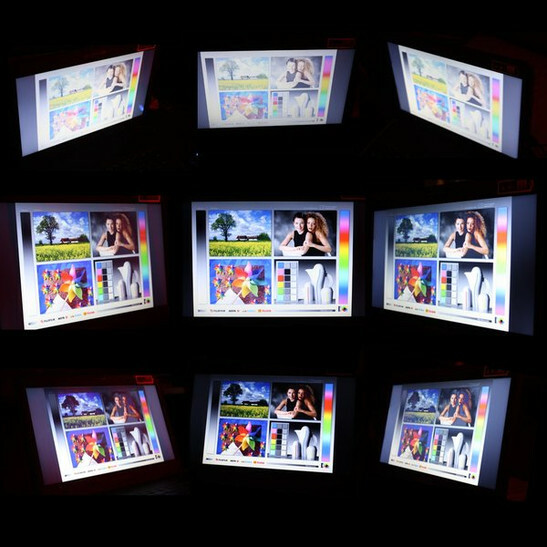 The display additionally has a glossy coating that enhances colors intensely but conjures up unergonomic reflections in bright surrounding light. We deduct 5 percent-points in the display rating of mobile notebooks for this. Further minus points are given to the weak vertical viewing angle. The monitor has to be placed in exactly the right angle to the eyes to prevent a color deviation. In return, the horizontal viewing angles are very large. You can look at the display from the sides for a long time and still see the right colors. Additionally, the display's brightness could convince us, as its average of 188.8 cd/m2 suffices for brighter rooms, too. Then again, the illumination of 73.2% isn't very homogenous, which can be especially well seen on large white or black surfaces. The LED backlight, which is actually supposed to provide for a more even illumination, can't change anything about this, either. Basically, Samsung should have put a lot more effort in this part. The form factor is obstructive at working and surfing, the glare surface permits reflections, the illumination is too uneven and the large lateral viewing angles don't count much either, as they are far less needed than the vertical viewing angles. These are, nonetheless, pretty tight. 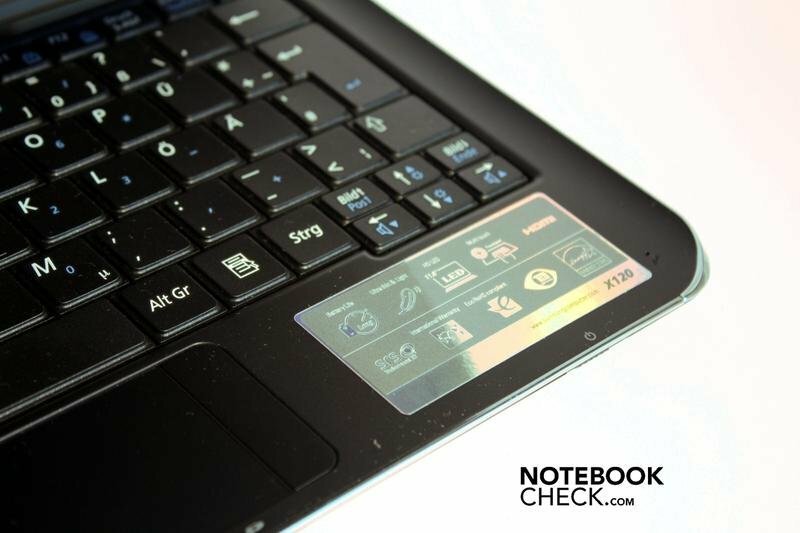 Too bad actually, because many mobile notebooks, such as the N510 based on Ion, have already gone over to using matt displays. The X120 should be able to score here, at least in the range of subnotebooks. Moreover, a Core 2 Duo processor beats in the little case. 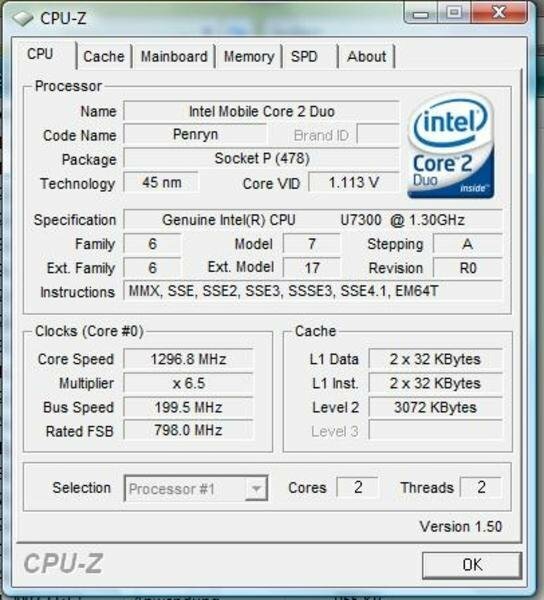 The energy saving SU 7300 with 1.3 GHz is clocked fairly slowly, but it should be able to make up for that with its two computing cores. The notebook achieved 2440 points in PCMark 05, anyway. A good rate if you consider that the notebook should mainly be used for undemanding office tasks. Just how much the second core brings is shown in Cinebench R10. When both cores are computing, the performance is almost 1.9-fold as high as if one core is computing by itself. However, this test also shows that the slow clock rate can lead to performance loss in programs that don't support two computing cores: one single computing core only reaches 869 points. 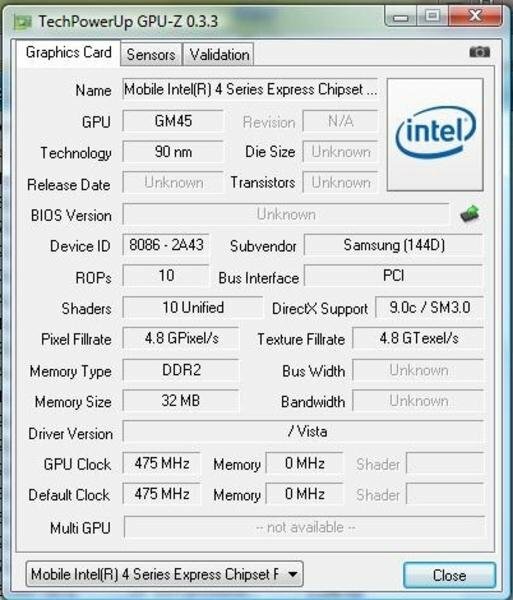 Intel's GMA 4500M HD, a graphic card integrated into the mainboard's chip set, is responsible for computing the pixels. It doesn't have its own graphic memory but occupies a part of the main memory when needed. The onboard solution is very well usable for really old game classics, as 3335 points in 3DMark2001 show. You shouldn't expect too much of fairly current games: 470 points in 3DMark05 indicate that 3D games, which are four years old in the meantime, only run restrictedly, not to mention latest games like Risen or GTA4. As a small practical test, we installed World of Warcraft on the computer because it's relatively undemanding and is played by many users. And in fact, we reached 30 frames per second at minimum details and a resolution of 800x600 pixels, which allows a smooth gaming. However, the small processor already faces difficulties at medium quality settings and the weak graphic card jolts along with 4 frames per second in high settings and a resolution of 1280 x 720. 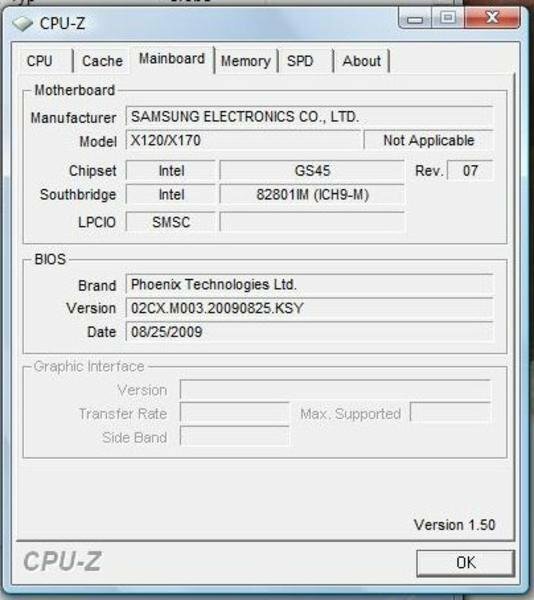 Samsung builds 3 GBytes of a fast DDR3 RAM into the X120. More would be rather senseless because the 32 bit operating system uses more memory inefficiently and cannot address more than 4 Gigabytes anyway. 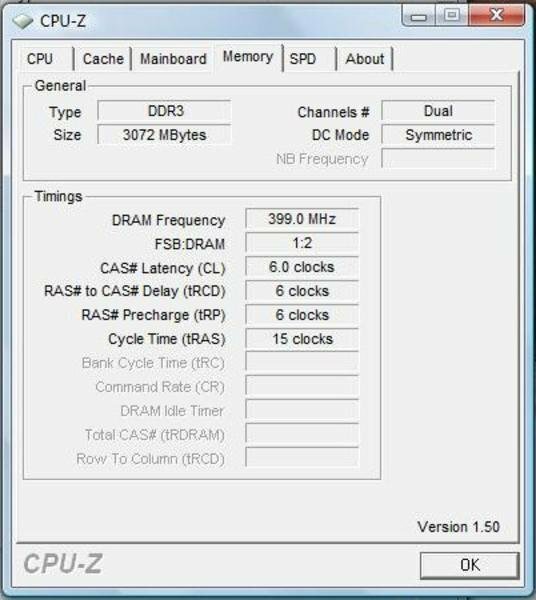 If you change to a 64 bit system, you can then also build more RAM into the X120, though. 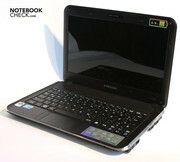 The notebooks can handle a maximum of 4 GBytes. The hard disk comes from Seagate and is named Momentus ST9250320AS. The memory writes and reads data at 5400 revolutions per minute and has a capacity of 250 GBytes. There weren't any irregularities to be seen in the hard disk benchmark's results, HD Tune. The WLAN module comes from Atheros and has been labeled AR9285. The WLAN card is proficient of the common standards 802.11 a, b and g as well as the very new n standard. Therefore, it should be possible to be able to surf reliably and quickly in the internet. 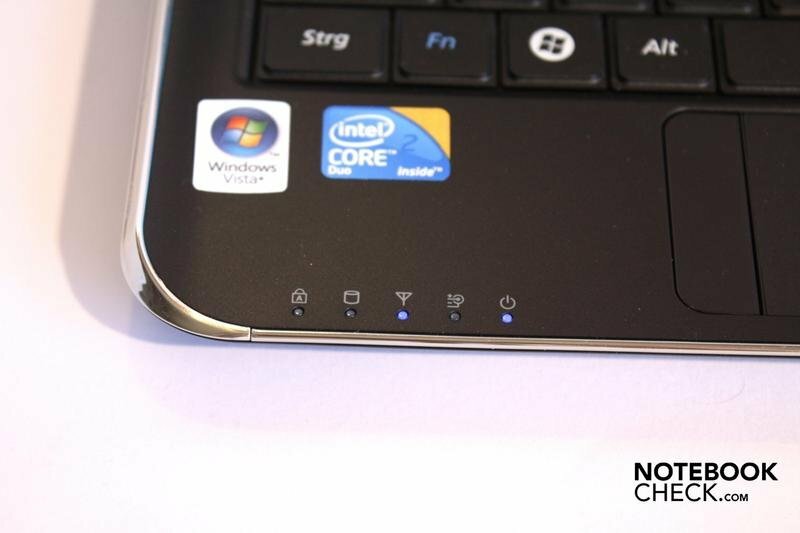 The WLAN card also remained inconspicuous in our tests; the internet connection was stable and fast. Finally, we check the latencies with the program "DPC Latency Checker." These latencies describe the real-time capabilities of Windows. 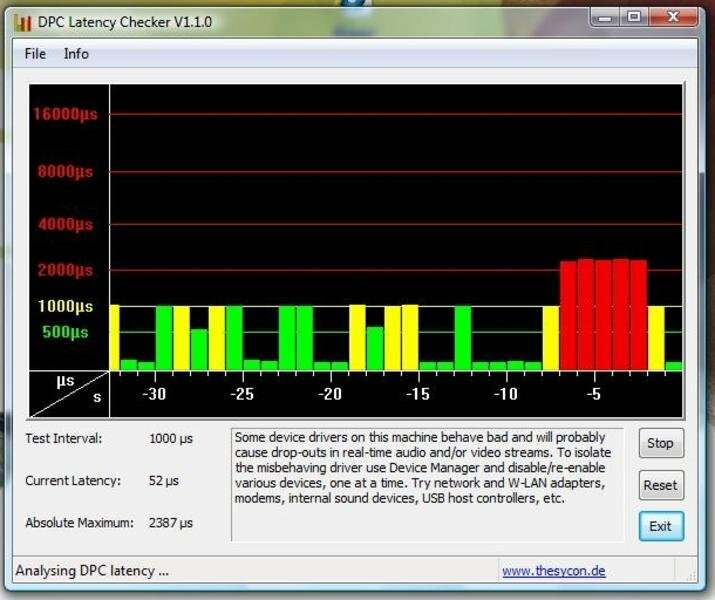 If the latencies are too high, it can come to short interruptions in audio and video streams between a Windows computer and an external device. This isn't acceptable especially in a professional field. The Samsung X120 also seems to have its problems here. The evaluation program redounds into the red field. Therefore, problems with external sound cards, for example, can't be excluded. It would be particularly embarrassing for a subnotebook with energy savings components if the fan is permanently audible. Fortunately, this isn't the case in the Samsung X120. You have to put your ear very close to the grill on the left side to even notice if the fan is running. The maximum rate that we could tickle out of the fan was 39.6 dB(A) but this very audible fan noise will very seldomly be reached at normal use. It usually stays around 32 dB(A), which subjectively is a barely audible purr. The hard disk adjusts to this noise diagram perfectly with a quiet 32.3 dB(A). It could get hot when the little subnotebook is put under high pressure: We assessed 48.4 degrees Celsius on the bottom where the fan, and thus also the processor, is placed. You won't really burn your fingers at normal use: Here we measured 35.3 degrees on the hottest spot and that's only a slight heating at most. Especially, the notebook's upper side stayed pleasant. We established a maximum temperature of 32.4 degrees Celsius in easy tasks. You won't want to hold the adapter for a longer time: It warms up under load quite a bit with 52.1 degrees but it's not yet a safety hazard. Two small stereo loudspeakers, which are concealed by a perforated plastic cover above the keyboard, are responsible for the sound output. The sound is relatively thin, the trebles are strongly overemphasized. In return, the basses turn out to be rather meager. The support of a subwoofer is missing. The maximum volume is alright but a bit more power would be desirable especially at background noise. Nevertheless, the 3.5 mm headphone-out has a good sound that didn't leave anything to be desired in a short test. Samsung includes its own 4 cell battery in the X120. The little battery doesn't exactly supply a generous 29.6 watt-hours that is supposed to last for maximum runtime of 4 hours, anyway. The X120 even lasted for 20 minutes longer at minimum display brightness, all energy savings options and a simple task, namely reading a text document: 260 minutes and thus 4 hours and 20 minutes (BatteryEater Reader's test). When the laptop is put under load (BE Classic test) and all energy savings measures are disabled, the battery still lasts for 89 minutes, so 1 hour and 29 minutes. More interesting are the results of the practical test, in which we surf via WLAN in the internet: 160 minutes, so we could look at websites and watch internet videos for 2 hours and 40 minutes before the X120 had to go back to the mains. Experience shows that watching movies from the hard disk is only slightly below this so that even longer movies can be watched in battery mode. However, Samsung also offers a 6 cell battery that should provide a runtime of up to 9 hours. 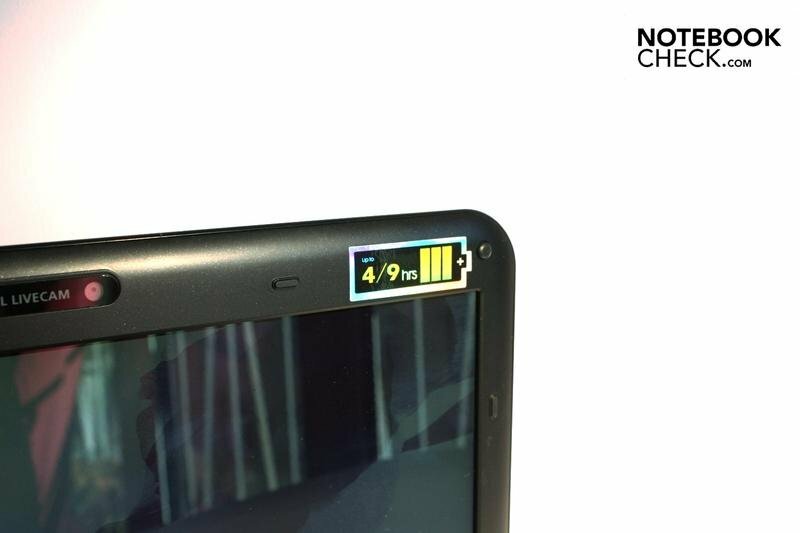 In our opinion, this battery would definitely be the better choice for such an ultra mobile notebook like the X120. 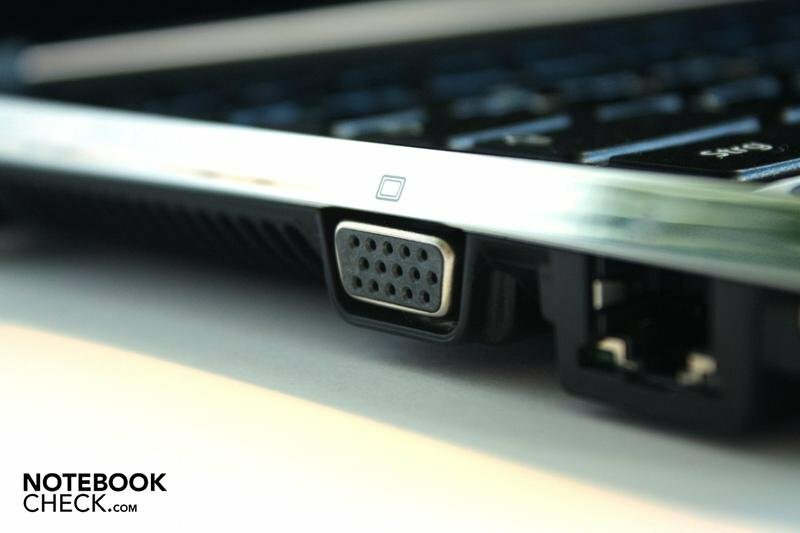 Generally, the power consumption wouldn't be very high so that longer runtime would seem very possible: The little subnotebook drains a maximum of 32.7 watts from the mains or the battery; the consumption can be reduced to 9.5 watts with enabled energy savings options. Pleasing is that the notebook only uses 0.1 watt in a deactivated state. It would, of course, be even better if there were no consumption. Therefore, you have to pull the plug in order to really sure. 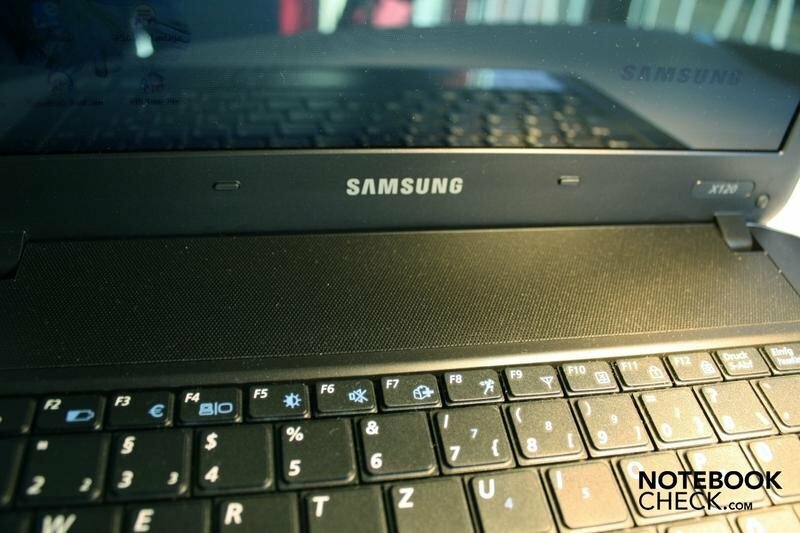 Samsung does some things right but, unfortunately, also a few things wrong in the X120. You receive a dual-core processor for your over 600 euro that has enough power for working fast even under Vista, an HDMI connection for working on a bigger monitor at home, a nice design and a good touchpad that even understands gestures. But you also have to live with the wobbly and partially very small keyboard, the at most average display, the strange port distribution and the rather meager battery performance for a subnotebook. Obviously, it is hoped that many users will pay a surcharge for the bigger battery. 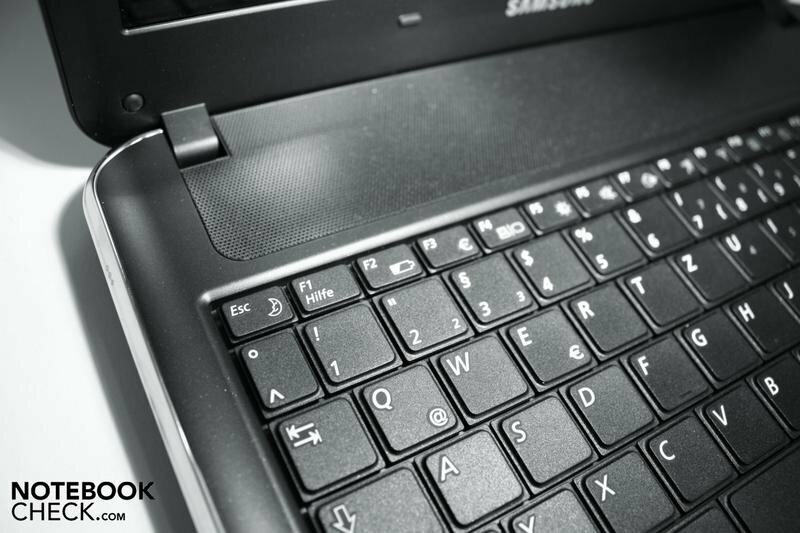 Samsung blunders in a field that is actually most vital for a subnotebook: Mobility should be in the foreground and instead Samsung tries to attract customers with an elegant outfit. Of course, there are further points that speak for the X120: The opulent memory configuration, the low weight and the good workmanship are impressive. 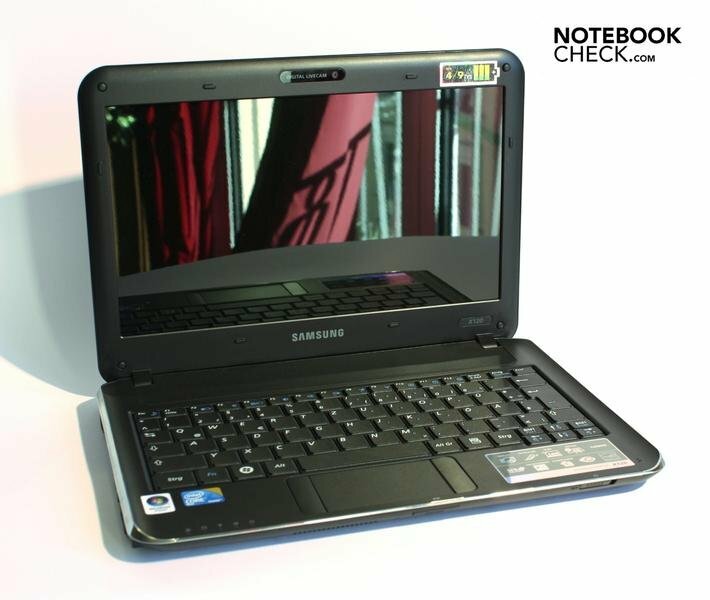 However, you should consider if lower-priced notebooks might have a better value for money ratio, anyway or if it might be better to invest your 600 euro into a starter multimedia notebook with more power. Good looks isn't everything, inner values count, too. 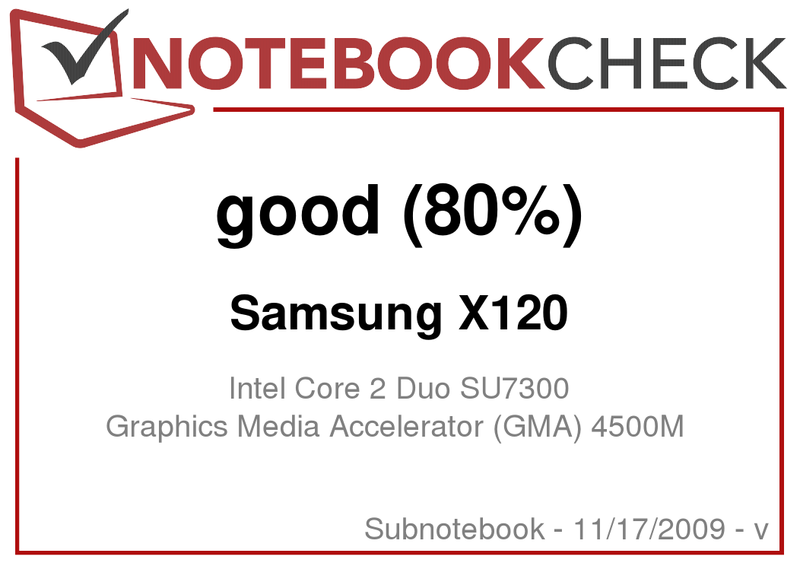 And they lower the Samsung X120 to an average "good" in the overall rating. You can read about how the X120's bigger brothers, the X420 and the X520, do in the test within the next days. , 5400 rpm, 250 GByte, 5400 U./Min. With the X120, Samsung wants to address customers who want a light and portable notebook. LEDs in a chic blue show the notebook's status. Unfortunately, the display is intensely reflective. In return, the hinges are very stable. The weak loudspeakers hide behind a cover. Samsung provides a few special keys. A few keyboard parts have turned out too minute. 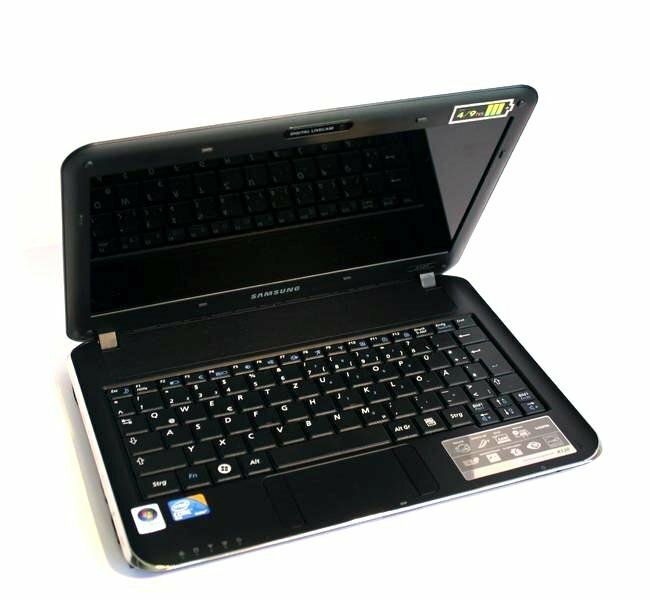 The X120 has a generous 3 GByte DDR3 memory. Samsung promises a runtime of up to 4 hours with the little battery. The low weight and the slim form advocate this. Thus, there are borders with a chrome look applied to the sides. Almost everything is plastic on the X120. 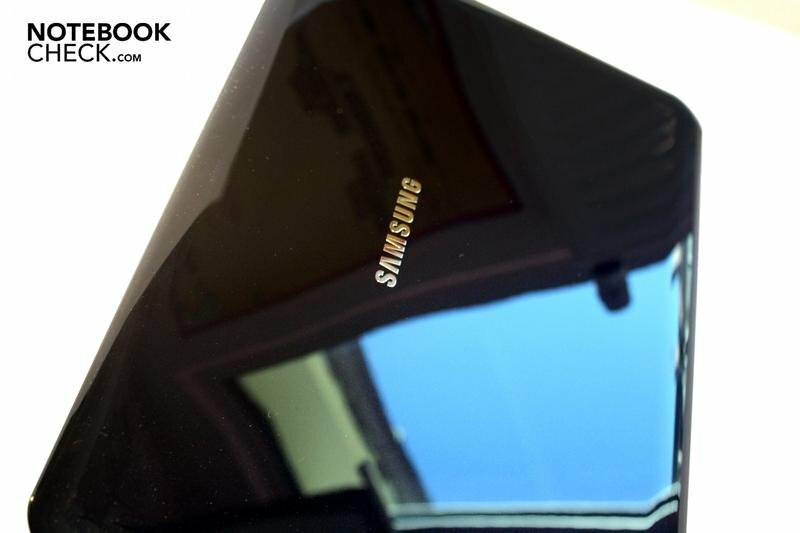 The lid has a high-gloss coating. 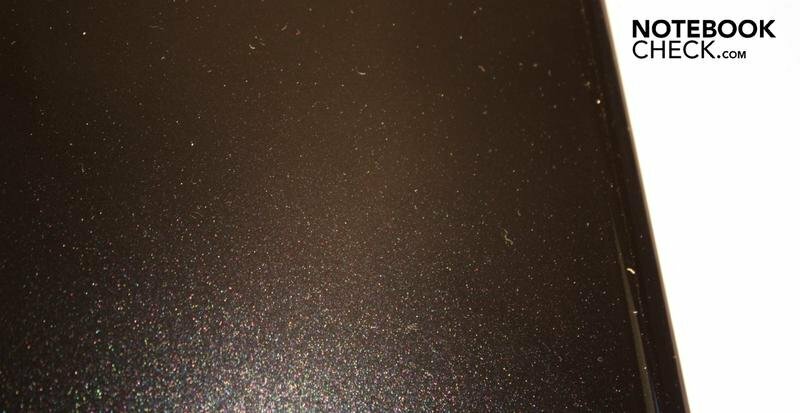 All surfaces have metallic particles. These cause a noble glitter effect when light beams hit it. ... otherwise you'd spend a lot of time looking for it. This isn't exactly much for a subnotebook, though. 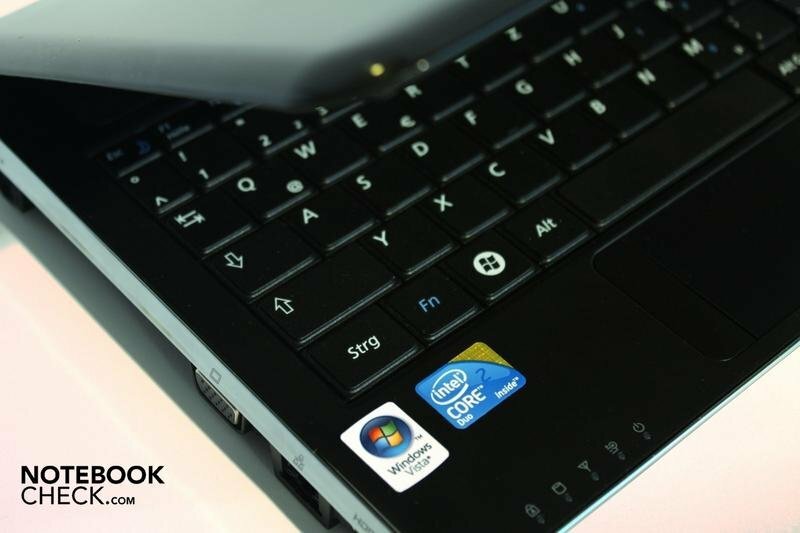 The X120's metallic look - spacey! A better display and a user-friendlier keyboard. 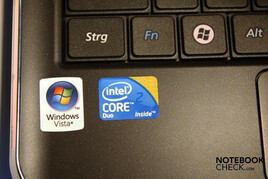 ..the Core 2 Duo sticker on the small case. The Asus UL30A is a bit bigger but has considerably longer battery runtimes. 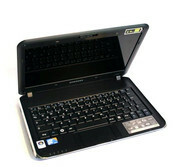 The Acer Timeline 1810TZ also looks good, costs 100 euro less and even has a bit more power. Eventually for enthusiasts: Samsung N510 with Nvidia's Ion.